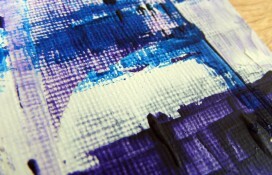 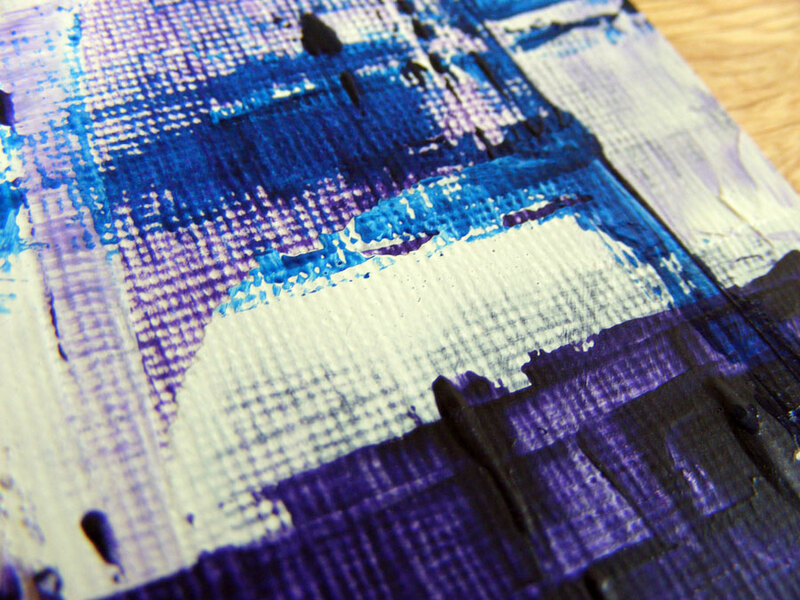 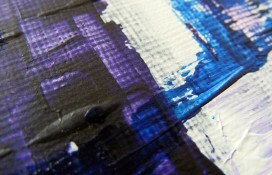 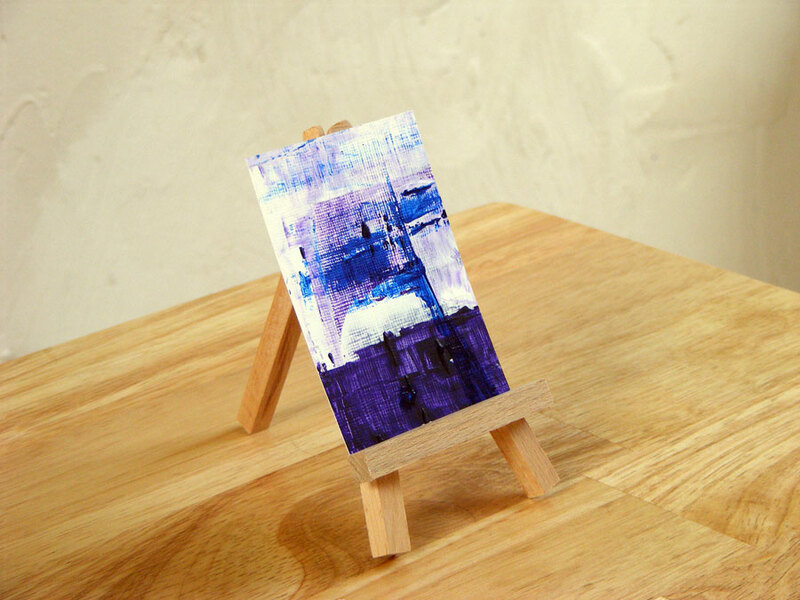 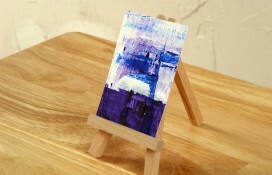 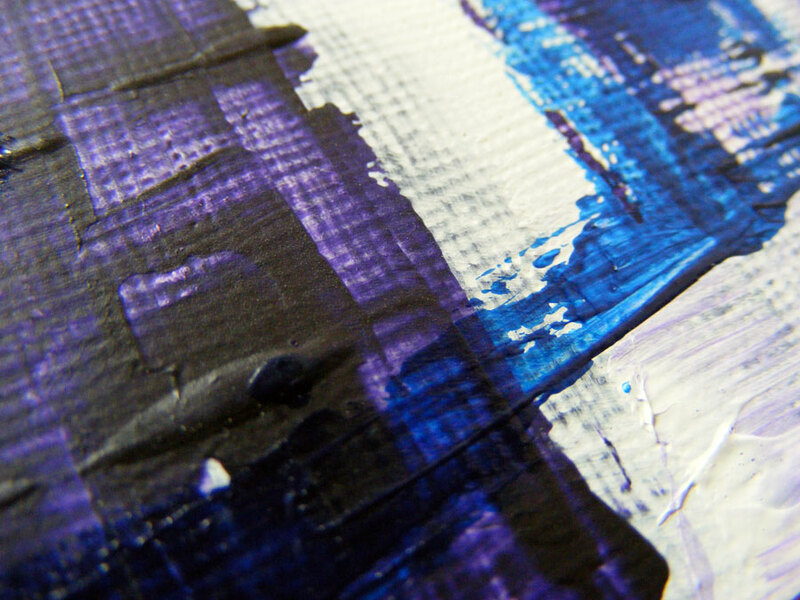 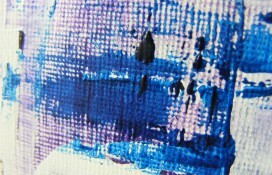 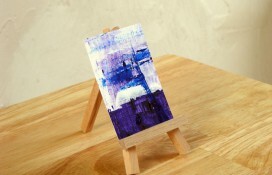 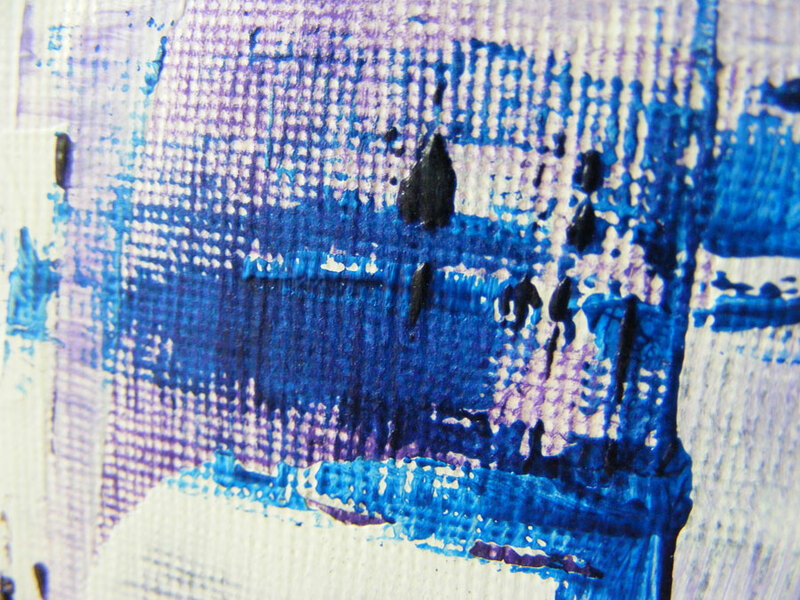 Mediums : Purple, blue and white acrylics on triple primed canvas card. 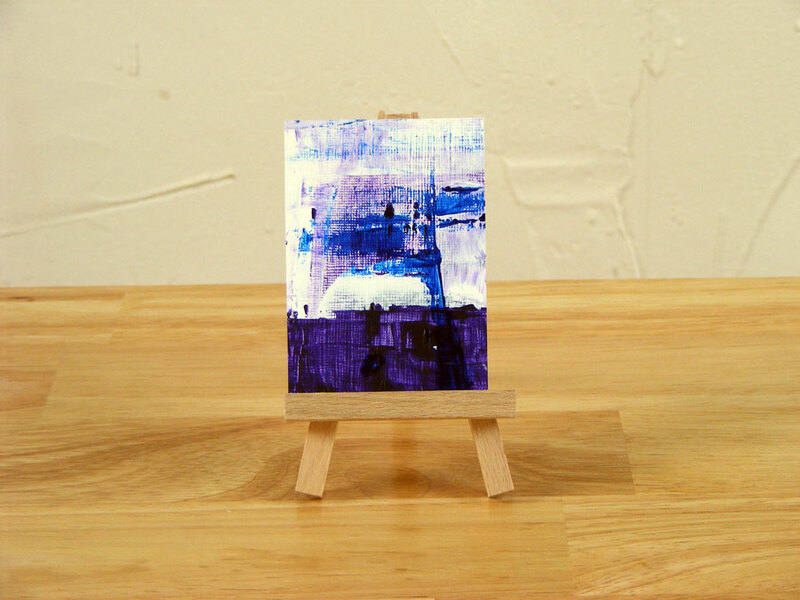 How to buy Cosmic Exposé One > This miniature painting is part of a collection of 8 and coming soon as the full collection , if you wish to buy please contact me in the first instance for an update. 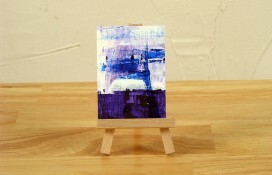 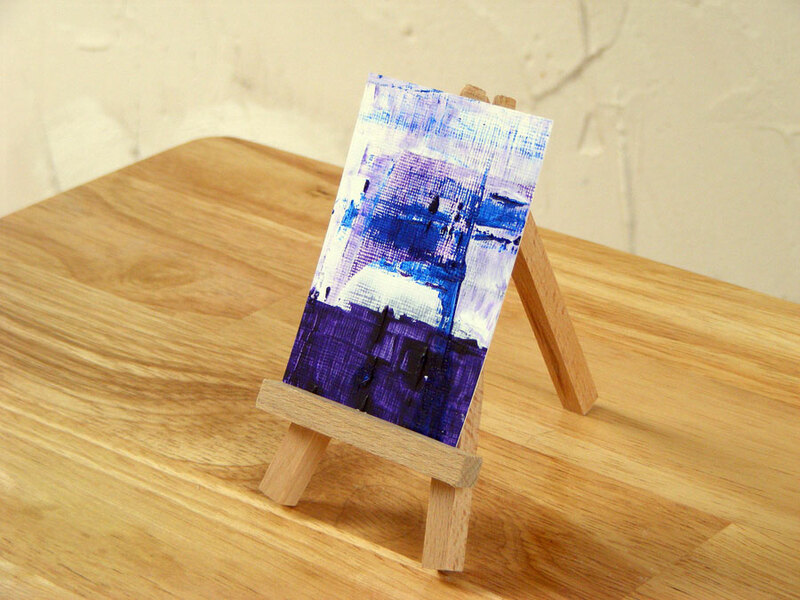 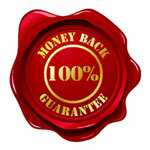 This miniature piece of art is the first in a series of eight.